Hello Readers, In this post we will learn how to put social subscription buttons under the post titles. You can also add this widget at the end of your post as per your requirements. This widget is similar to the social sharing buttons widget posted on this blog a few days ago, the difference is that it contains the subscription buttons rather than the sharing buttons. 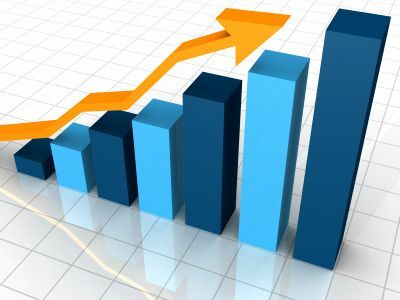 Social networks are playing vital role in blogging so it is mandatory to be little more concious about the social stats. This widget will help you improve your social stats by giving your visitors an easy way to subscribe to you. Later in this post you will find a live demo and a tutorial for adding this widget in your blog. Hello friends, in this post we will learn an easy process to setup a custom domain name for blogger or blogspot blog using purchased using Godaddy. Unziptech has already posted about why you should choose a custom domain name for your blogger blog. If you still have not purchased it yet I recommend you to go through the above linked article to know the importance of custom domain name in blogging and SEO optimization. Godaddy is now an official partner of Google blogger for domain names. You can purchase a custom domain name from Godaddy using your blogger dashboard. You can also go directly to Godaddy’s website for the same. Google and Godaddy have teamed up and made it easy for users to redirect their blogger blog to the domain hosted on Godaddy. Later in this post we will see the extremely easy redirection and verification process for Blogger-Godaddy. Hello Readers, in this post we will learn how to add a stylish CSS3 menu bar in your blogger template. Blogger is one of the most used blogging platforms around. I like it very much because you have liberty to edit your template even in the free version unlike many other CMS around. Today I was working on a website’s design and found a great website which will help you to create cool looking menu bars in few minutes. If you do not have much knowledge about HTML, CSS3 and web-designing, this is surely for you. Even many pro designers are using this online tool to create menu bars. We all know CSS3 is one of the latest web designing technologies around and this online tool provide easy to use interface with drag-drop/sliders to customize the menu bars so that you can easily create CSS3 menu bars without even writing a single line code for it. In this post we will check out how to create menu bars with this tool and how to add them in our blogger templates. Hello Friends, in this post we will learn how to put a cool social sharing and subscription widget in your blogger posts. You can place this widget at the end of every post or at the beginning as per your requirements. Social networks like facebook, twitter, G+ are playing an important role in blogging these days. They do not only let you connect with your online readers but they are also a great source of traffic. The social fans, followers or subscriber’s count shows the popularity of your blog and you should make it easy for your readers to share or subscribe to you. This widget will help you in this task. You can check the screen shot and live demo of this widget below. Later in this post we will learn how to add this cool social sharing and subscription widget in your blog. Hello Readers, in this post we will learn how to use blogger page type conditions to show or hide widgets on particular page type. Blogger is one of the most used blogging platform around. I like blogger because you have complete control over the template code. You can make customizations with the template code, change the CSS style rules; customize the default widgets and many more. Many CMS do not give these facilities to the free users and ask for membership upgrade, but you can do all this even if you are not having a custom domain name for your blogger blog that means you need not to pay anything to avail these facilities. Sometimes you need to display or hide some widgets/content on particular page type like to display ads only on posts page. You can easily do it with the help of blogger page type conditions and later in this post we will learn about page types in blogger and how to use blogger page type conditions to show-hide widgets. Hello Readers, in this post we will discuss some useful blogging tips that will help you increase your blog readership and improve your blogging experience. Many people these days turn bloggers either because of their interest/hobby or to earn money online. But without prior knowledge and strategies they fail to succeed. I am being asked from some of my online readers to post an article about blogging tips for newbie bloggers so in this article we will explore some really great tips about blogging not only for newbie bloggers but these tips will help you even if you are an old school in blogging. Hello Readers, in this article we will see how you can add a customized popular posts widget in your blogger blog. Popular posts widget is an important sidebar content for your blog and an important tool in blogging. It allows your online readers to see what is in trends on your blog these days and your visitors may find some cool articles to read. 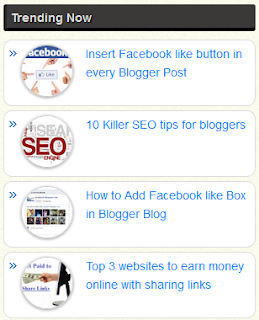 Blogger has given built-in popular posts widget for every blogger blog. We will be customizing its CSS styles to make it more attractive. This post features the complete tutorial to add this customized popular posts widget in your blog. Hello Readers, In this post we will learn how to add a custom Google+ add to circles widget with author image and circles count. Unziptech has already shared many cool blogger widgets & plugins for social networks and we are in process of developing more cool and advance blogger widgets & plugins to add in to our blogger widgets category. Social Networks are playing a vital role in blogging. Social networks allow you to connect with your online readers and share stuff with them. They help your blog to get a good amount of referral traffic and to increase your readership. Social network’s fans, subscribers, followers and circles counts show the popularity of your blog and they have become important stats for every blogger. Google plus is one such social network which is growing popularity these days and later in this post we will learn how to add this fully customizable Google plus widget in your blog. Hello Readers, in this post I am going to tell you, how you can add a sticky notification bar to your blogger blog with JQuery sliding effect. 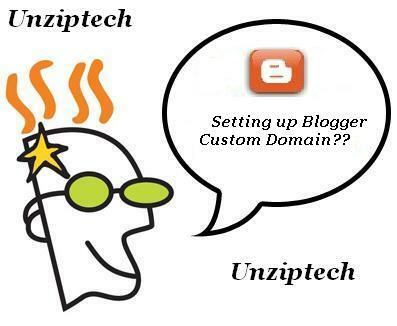 Unziptech has already shared few blogger widgets in previous posts and this post focuses on the same category. You must have seen many blogs use this kind of sticky notifications bar to display the latest news, announcements or events on their blogs, so that their readers do not skip any important information. It is very important to provide your online reader with the latest info about the blog so that you can increase your readership. This Sliding sticky notification bar will surely help you to reach out to our readers. Later in this post we will see how to add and customize this sliding notification bar. Hello Readers, in this article I am going to share a premium style social subscription widget. Unziptech has already shared many useful articles featuring premium blogger widgets, plugins, tricks etc and this post focuses on the same category. This social subscription will enable users to like/follow you on the social networks such as Facebook, Twitter, Google+ and subscribe your feeds using the built-in feedburner email subscription widget. Social networks are playing a vital role in blogging these days. 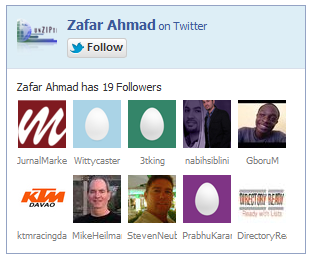 The count of followers, fans and subscribers shows the popularity of your blog/website. They also allow you to connect with your online readers and share your content with them. You can see the preview of this social subscription widget in the screenshot given below. 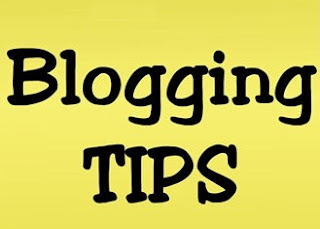 Later in this article I am going to tell you how you can add this widget to your blog. Hello Readers, Today in this post we will learn how to add a custom designed feedburner email subscription widget to your blogger. Feedburner is an important tool in blogging. It allows your subscriber to get updates from your blog directly in their email inbox. It helps you to increase your blog traffic as well as readership. Feedburner is the one of the most used feeds management service provider around. Feedburner provides the custom RSS feeds and enable Bloggers and podcasters to manage their Blog feeds. We all know how important RSS feeds for our Blogs. RSS feeds or Rich Site Summary is a standard XML format to showcase the latest entries in your Blogs. Feedburner also allows you to add an email subscription widget to your blog and allow people to get your updates. Later in this article we will see how to add this beautiful feedburner email subscription widget in your blog.